The newly constructed Armine Pagoumian Polyclinic and Anna and Hirair Hovnanian Diagnostic Center, located in the region’s capital, is the first and only full care outpatient medical center in the Nagorno-Karabakh. 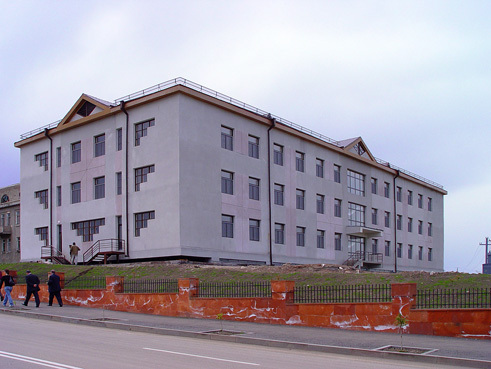 The Stepanakert Polyclinic and Diagnostic Center was partially destroyed from the war, outdated, and lacking in critical sterility and hygiene procedures. Now, the newly constructed Armine Pagoumian Polyclinic and Anna and Hirair Hovnanian Diagnostic Center, located in the region’s capital, is the first and only full care outpatient medical center in Nagorno-Karabakh. The design of this project from the very inception has always concentrated on not the building structure alone, but also, the core of sustainability- proper training, continuous education, standard practices, modern procedures, and the proactive delivery of healthcare service. “We are not just producing a building; buildings don’t save lives” strongly asserts Dr. Alina Dorian, a Senior Program Manager for the University of California Los Angeles Center for Public Health and Disasters. “We are focusing on the physicians, the nurses, and the very people themselves. We are giving Karabakh an opportunity to be their own primary care givers and takers; we are empowering them with the ability to heal themselves, and that is more powerful than the most impressive building exteriors”. “Developing a quality health system is a long-term process requiring fundamental changes in the culture of quality”, says Dr. Dorian. The project began as a mission so ambitious, completing it would break the mold – to resurrect the existing healthcare facility in Stepanakert, partially destroyed by the war, woefully outdated and utterly un-sterilized, to be the world class multi-specialty health care facility in Karabakh. The needs were clear- a sterile infrastructure, proper management and staff organization, training and hospital furniture and equipment. The design was to pull all these components together to serve one common purpose – healthcare system for a long and lasting future. 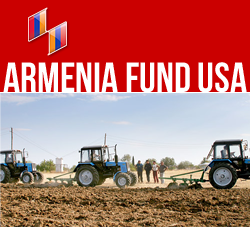 Armenia Fund USA has raised the funds necessary to build the Armine Pagoumian Polyclinic and Anna and Hirair Hovnanian Diagnostic Center, an essential element for providing the people of Karabakh with modern day medical assistance. The Fund is equipping the laboratory with state-of-the art technology that includes - but is not limited to - ultrasound capabilities, X-ray, ECG, and EEG equipment. Now that the outer building construction is complete, furniture and modern medical fixtures are being installed. State of the art equipment will provide the necessary means for proper diagnosis and treatment. Physicians will be able to properly educate the public on leading clean and healthy lives. The Center is designed to be a multi-specialty health care center, aiming to serve out patient needs for everyone over the age of 15 seeking either preventative or acute care. It includes a Diagnostic Center which can handle advanced medical testing and analyses for the entire hospital complex furnished with high rate laboratory and ultrasound capabilities. Services are open to the entire community, and basic care will be provided free of charge. Preventative care and community outreach will be accentuated by a Disease Control Center that will specialize in battling Chronic Obstructive Pulmonary Disease (COPD). The most common forms of this group of lung disease are emphysema and bronchitis, which are mostly brought on by prolonged tobacco use. Smoking continues to be high in prevalence for citizens of Armenia and Karabakh, especially among adult men and now increasing with young women. On board for the development and implementation of training modules is an impressive list of collaborators including UCLA’s Center for International Emergency Medicine, Yerevan Academy of Medicine, the American University of Armenia’s Center for Health Services Research and Development, John Hopkins University’s Center for Emergency Disaster and Refugee Studies, MediTech Company and members of Karabakh’s local community for whom the Center is the only viable channel for medical care. Additionally, Armenia Fund USA - committed to moving “beyond bricks and mortar” — is providing ongoing training for medical and administrative personnel. The funding of an initial 18-month maintenance contract promotes the “Train the Trainer” philosophy, thus assuring that the facility will have a continuous supply of highly-trained medical professionals. This training, with the participation of the Johns Hopkins and UCLA Medical Centers, as well as other major medical institutions, provides the foundation for Karabakh’s newly constructed and premiere medical center. 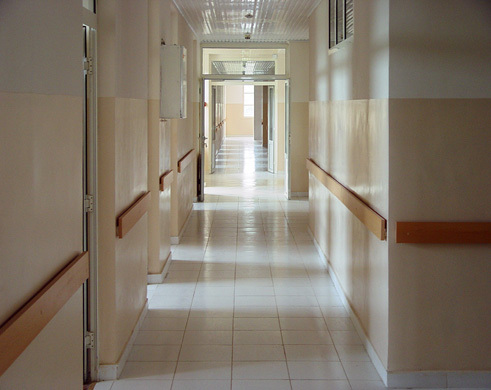 To date, 4 training modules were implemented toward improving knowledge base and practice for care providers, providing patient-oriented ambulatory care, increased effectiveness in diagnosis and treatment protocols (data evaluation and knowledge skills), as well as systems and tools for improved management and performance. The Center’s groundbreaking in August 2002 marked the beginning of this undertaking and was celebrated by health care personnel, the general population and regional leaders. $2 Million in funds were needed to complete the Clinic and Diagnostic Center which has many visionary philanthropists behind its success. This was accomplished, largely in part, because of the generous gift of $950,000 from George Pagoumian, who gave the gift as a memorial to his aunt Armine Pagoumian. Hirair and Anna Hovnanian made a generous donation to Armenia Fund USA of $400,000 toward a “Journey of Healing” for the Nagorno-Karabakh. Donor agencies, international organizations, as well as individual donors have also donated some of the necessary equipment and medicines for the Polyclinic. Armenia Fund USA is committed to bringing comprehensive healthcare to Nagorno-Karabakh and helping the community partner with the medical staff in taking ownership and responsibility for their own health. We continuously strive for sustainability. The future health of Karabakh depends on the vitality of its people. Your support helps sustain the most precious of all our assets... life.